We love scrolls in this house. 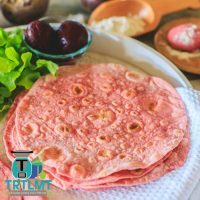 They are my go to recipe for weekend lunches, the school lunchbox and if I’ve run out of bread and feel like something different. I normally chop zucchini and spinach first in the tmx and include in the dough mix to add some extra nutrition. I didn’t today as I had run out of these veg. 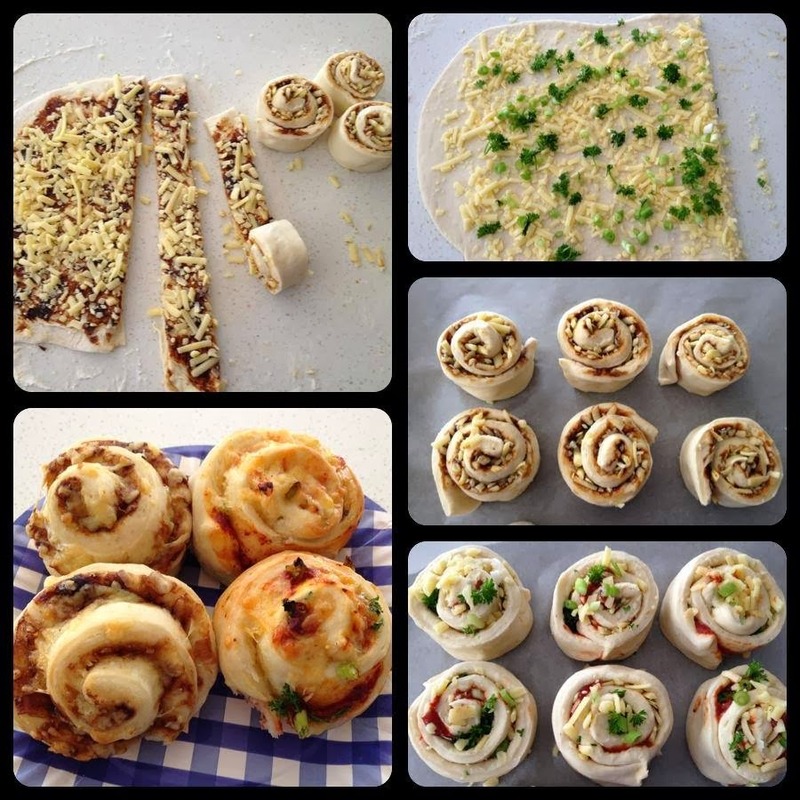 Here are our cheesymite scrolls as well as herb and cheese scrolls. They are so light and fluffy! TIP: Slice into lengths and roll as shown below. 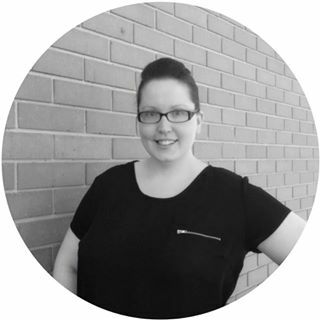 Thank you Thermoculture for this great tip! 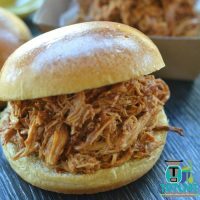 Always a hit with kiddies, for lunch or in the lunchbox. You can vary the filling to suit your tastes. This can be halved is you would like a smaller batch or simply freeze any uneaten ones. Sprinkle a little flour on the bench and roll risen dough out to a 2cm thickness depending on taste and preference. I regularly lift and rotate the dough as I'm rolling to ensure it doesn't stick to the bench and to also help evenly roll it. Slice into lengths and roll as shown in blog post. Place on a baking tray, just touching. Let them rise for a further 30 minutes if possible. Bake at 180 degrees for 25 minutes or until dough is cooked and a slight brown colour. Time will vary depending on size. Bread improver is optional however will help ensure your loaf is nice and soft. Just pulled these out of the oven and four are gone already. Yummo! We made cinnamon, cheese and vegemite and cheese and shallot (my favourite). Lunches for the week are done! Very easy. Can you freeze the scrolls after you make them? Are you able to freeze the scrolls after you have made them? Thank you! Made these to take to Luna Park and avoid junk. They were great and loved by kids along for the rides. Delicious. 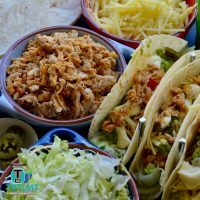 On regular rotation here (minimum), can be so versatile with the fillings (our fave is sweet chilli, bacon and cheese, kids love the vegemite and cheese or bbq sauce and bacon. YUM!! and they freeze/defrost well for lunchboxes too. Made these yesterday and they are so good. I made these for the first time today and they were a hit with everyone. I did a batch of Vegemite and cheese and a batch of cheese, garlic and chives. Thank you! 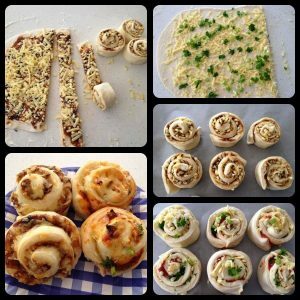 Do you think you could freeze uncooked, filled scrolls and then take out and bake fresh as required? 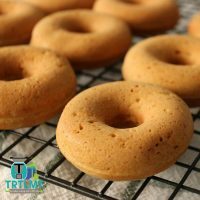 Love this recipe and your blog too! Yum!! 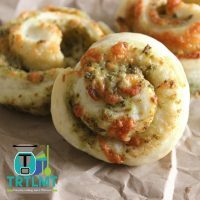 I made pizza scrolls and these were delicious. These are amazing, I usually make a few batches of different flavours and freeze. They are perfect defrosted or reheated slightly for a quick lunch to go. Great!! Made these tonight super easy & really yummy thanks. These are on the weekly rotation. Thanks! Just put these in the oven for lunchboxes tomorrow as my little boys have decided they dont eat sandwiches any more. Why havent i ever thought about rolling them like this. I have always rolled as one monster roll and then cut and they are always loose and messy , much easy to roll like this. I used a pizza cutter to slice mine up. Thanks for the tip. 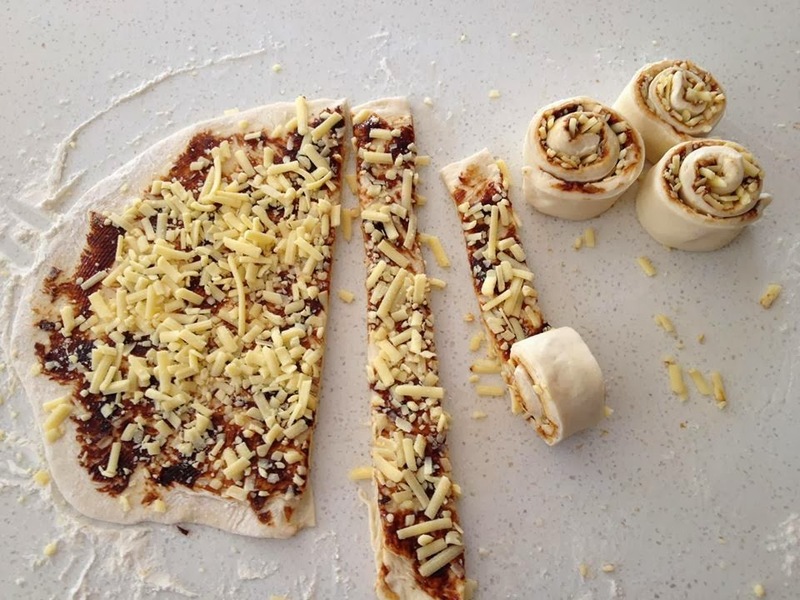 Any ideas on how to spread the Vegemite out without stretching or tearing the dough? Also, how wide do you normally cut yours into…just so I know how much this can normally make? 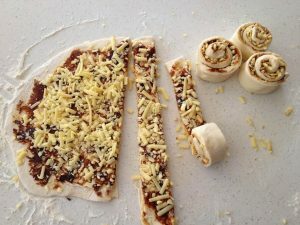 Just made my first batch of pizza scrolls for my nearly kindy kid! I used half white/half wholemeal flour but otherwise stuck to the recipe and they turned out fabulously. I blitzed zucchini, mushrooms, capsicum, ham, salami, cheese and tomato paste for the filling and my kids approved ?